The AAS StandAlone Proximity card reader combines the latest in proximity technology with the ease of non-PC programming. Each StandAlone Proximity card reader features a high grade stainless steel faceplate with a heavy metal powder-coated enclosure. 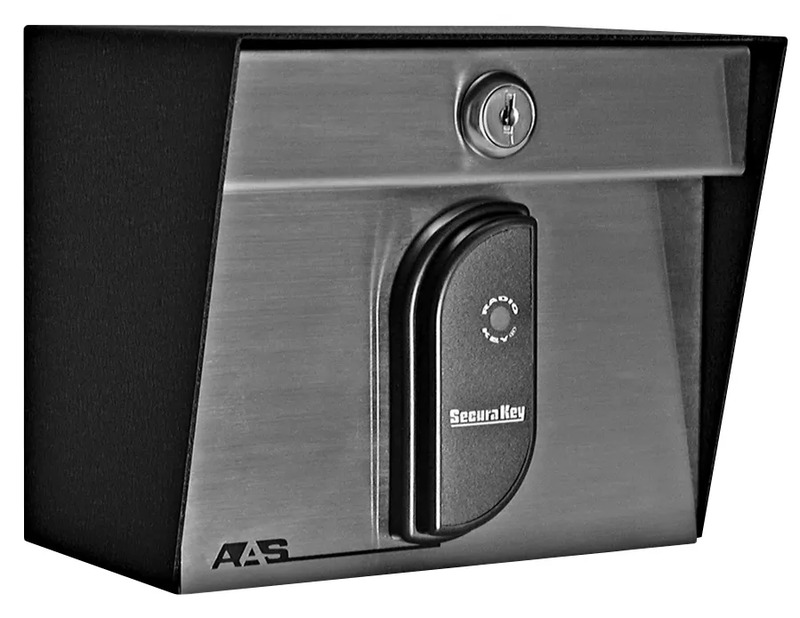 Mounted to the faceplate is a Secura Key RK reader with the control board mounted safely inside the rugged enclosure. This unit allows an additional “slave” proximity reader to be wired to it, making it ideal for jobs where more than one reader is needed.